Join a 1-day Lake Powell tour in Arizona with nearby famous attraction such as Upper& lower Antelope Canyon, Horseshoe Bend, Glen Canyon Dam. 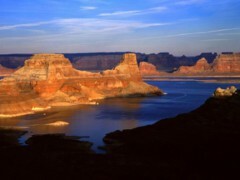 Take a 2-4 Day Lake Powell Bus Tours from Los Angeles, Los Vegas. 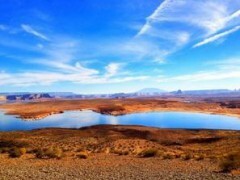 Pack your bags and get ready for a memorable trip to Lake Powell, Arizona, Antelope Canyon, Horseshoe Bend and more. Best tour and Best Driver so much fun, must see Horseshoe bend with hiking 20 minutes, Antelope most beautiful photography, Monument Valley jeep tour wonderful time. This Tour very organize and very good itinerary.You need to walk to Horseshoe Bend, it's very beautiful View and must see. Also jeep tour for Monument Valley don't miss it. Hotel with Lake See View.